Bangs are tricky. They should come with an instruction manual, or at least a warning label. Something like: Please take caution, bangs should consist of a small section of hair covering part of the forehead and/or face. When styled correctly, bangs should accent your cheekbones and blend easily with remaining hair on head. Improper bang use can result in a blunt line above the eyebrows and strong resemblance to Cindy Brady or 1920's bathing cap. Poor bang care may also lead to headband and hat addiction. See also, Depression and Embarrassment. As a girl who has worn bangs since birth, I can assure you that it IS possible to find a style that will work for you. The truth is, bangs look good on most women. Very few of us can wear our hair parted down the center without something happening near our face and eyes. Bangs can give instant style to an otherwise dull ponytail and will keep a short haircut from looking too serious. It is helpful to bring in a few photos of some bangs that look great. There are loads of celebs who have gotten it right--do a quick Internet search for Reese Witherspoon, Kate Moss or Jessica Alba. These ladies are bang experts and clearly know whats up. If you have already hopped on the bang train you can even give yourself a trim between appointments. (Bang Train? Really?) I recommend picking up a pair of barber scissors at the drugstore. 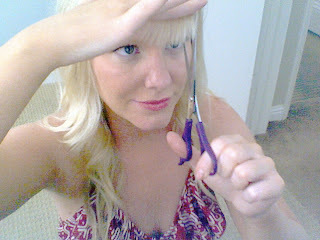 They are smaller and sharper making trims easy and painless. With a thin comb brush dry bangs down towards your face and hold the length of the hair between your index and middle finger. This will show you the line to use when trimming. 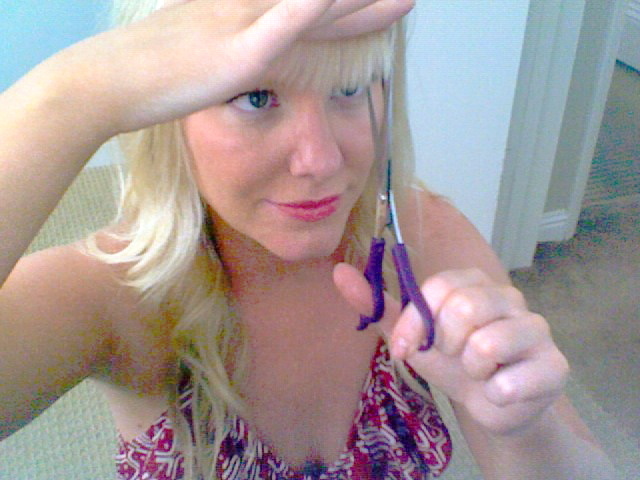 Instead of using the scissors horizontally from left to right, point the scissors upwards and do very, VERY tiny snips upwards trimming small bits at a time. Snip small bits upwards one fraction at a time until you have moved over the entire width of the natural bang. Voila! You are safe until your next appointment! 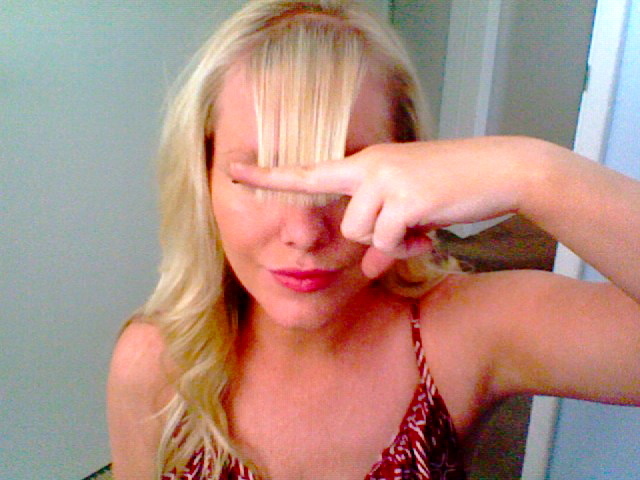 To style bangs I recommend using a large round brush. If you are looking to wear your bangs to a particular side it is necessary to blow dry them in the opposite direction first. Use the brush to curl the bangs inward and then outward almost like a flip. This will make them more pliable when you move them to the side that you want them to stay. Most of us will need a healthy spritz of hairspray to set the bangs. Note: a bit of dry shampoo will also make wispy bangs sit and stay. Have fun with your new accessory-bring on the compliMINTS.